Expand your online presence	Publish, Share, Connect, Engage, Track	From board stocks to model information to integrated online orders to wholesalers and retailers direct connections. Your business goes fully online through Shaperbuddy in a much automated way. 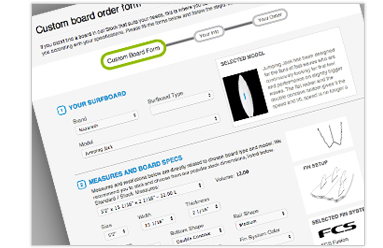 Online Web Area	Your business most relevant information goes online in your own “Web Area”, featuring models information, detailed new or used board stocks available to order online, an online custom board order form, company information and more. Free. All to help you expand and boost sales. 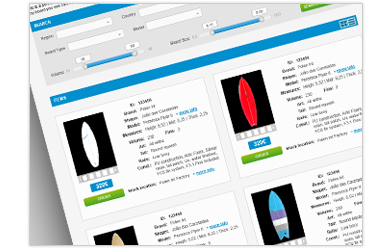 Integrated Online Orders	Shaperbuddy comes standard with an online “Custom Board Order Form”, fully customized to your production reality. Online orders are fully integrated within system’s Sales & Orders area, allowing you to act faster, move forward and convert sales. Live Board Stocks	New or used, a lot or just a few… Shaperbuddy puts your stocked boards online over different channels in an automated way, helping you move stocks faster, increase efficiency and business profit. You decide it! Website Design & Development	We approach website design & development with deep knowledge of the target audience, interests and needs around board manufacturing business allowing us to deliver customized brand websites that work, featuring the latest design trends and web development best practices. Your models, news, shaper information, dealers list, social networks, pictures, online orders, promos…all integrated and managed through one unique system. Shaperbuddy. Website Design & Development is approached as an extension of the system meaning that everything is totally integrated. 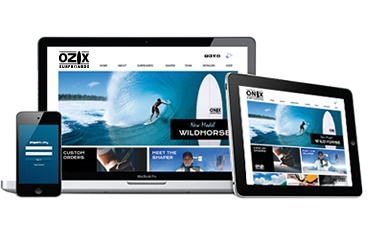 New Brand Website Design & Development is not a standard feature. Contact us to know more.